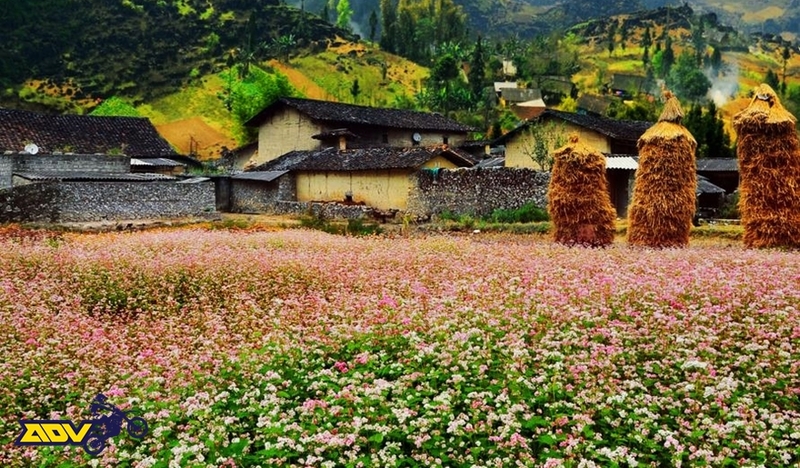 The third Tam Giac Mach flower festival 2017 will take place from the 4th of October to the 31st of December in 4 districts of Ha Giang plateau (Dong Van, Quan Ba, Yen Minh, Meo Vac) and Ha Giang City. 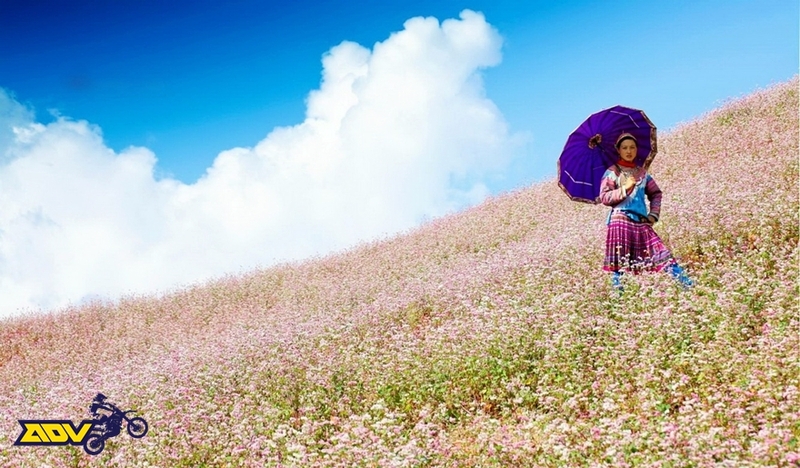 The Tam Giac Mach flower festival is one of the activities to honor the value of cultural heritage and vitality of the ethnic minority in the Dong Van Karst Plateau. This is also an opportunity to promote the unique cultural values of ethnic people, landscapes, magnificence, romantic that nature has bestowed for Ha Giang to domestic and international tourists. Within the framework of the Tam Giac Mach flower festival, many attractive activities will be held such as International Geopark Fair; Ha Giang Mint Honey Festival 2017 and Seminar on Applying Technology and Solutions to Manage and Improve the Quality of Bac Ha Mint Honey in Ha Giang Province; Parachute flying on the Tam Giac Mach fields; Concert at the foot of Lung Cu Flagpole with the theme "Lung Cu sound"; Enjoy Beef steak Food program on the Rocky Plateau along with many experience activities such as demonstrations, cultural exchanges and playing folk games of ethnic minorities. The Tam Giac Mach flower festival 2017 is expected to officially open at 20:00 on October 27, 2017. As usual, people will choose the kinds of flowers and cultivate from the beginning of September so that the flowers can bloom at the time of the festival - that is the end of October, early November. • Dong Van district: 3 communes of Sung La, Pho Cao and Lung Tao T-junction in Dong Van town. • Meo Vac district: Ma Pi Leng, Pa Vi commune, Pai Lung commune. • Yên Minh district: Yên Minh, Lao Va Chai commune, Na Khê commune. These are the selected places for planting Tam Giac Mach flowers as planned to serve visitors and festival this year.